Sometimes it just doesn’t seem fair: you’re working hard, giving your organization’s development program all of your effort and skill, and yet it doesn’t feel like you’re making enough progress. Then you see a major non-profit across town raise $500,000 in a single two week campaign, using their twelve person strong development office and army of volunteers. 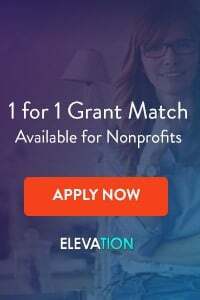 Or maybe you’re writing grants, one at a time, and are tired of being beaten to the punch by another organization that has two full time grant-writers on staff, while you have to handle everything from major donor giving to direct mail in addition to trying to knock out one grant proposal per month. Fear not! 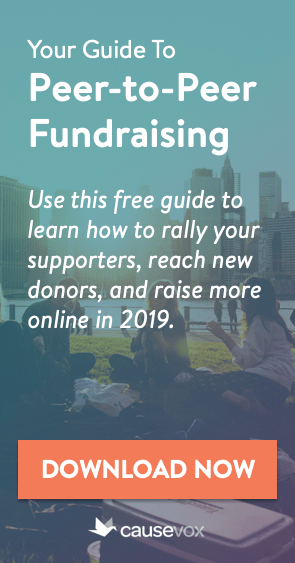 Just because you work in a small (or even one-person) development shop, it doesn’t mean you can’t use the same tools as the “big boys” to boost your fundraising and grow your footprint. Sure, they may have more staff or a bigger development budget that you, but you can employ many of the same tricks of the trade as larger non-profits, even with your limited resources. Large non-profits are very good at asking their board and key supporters to open up their rolodexes to fundraise on behalf of the organization. Likewise, big organizations are great at forming affinity groups like young professionals associations and giving clubs. These tactics need not be reserved for large non-profits though. In fact, because they allow your staff to multiply their efforts, these tactics are tailor-made for small development shops. To learn more about setting up fundraising networks at your organization, read Building Fundraising Networks. While larger organizations have enough staff to spend a significant amount of time cultivating prospects before making an ask, many smaller organizations jump the gun and make asks before really cultivating prospects. This is a big mistake. Prospects don’t become lifelong benefactors unless they are properly cultivated. Even if you have a limited amount of staff, act like the big boys and cultivate before you ask. For more tips on cultivating donors, read The Five Steps of Donor Engagement. Small organizations often shy away from planned giving campaigns because they seem to take up lots of time and resources. They needn’t be. Larger non-profits know that planned giving is a great way to ensure the future financial stability of the organization. In order to benefit from planned giving, your small development shop need not spend a ton of time or money on a major campaign. Simply start asking your donors to remember your organization in their will, and track how many people agree to do so. For more information on setting up planned giving efforts at your organization, read 20 Facts About Planned Giving. Too many small non-profits rely on one major fundraising event per year to raise most of their budget. Likewise, many small shops are grant-dependent, or focus almost entirely on board giving or on direct mail. Putting all of your fundraising efforts into one basket is a recipe for disaster. Instead, do what the big boys do: diversify your tactics. 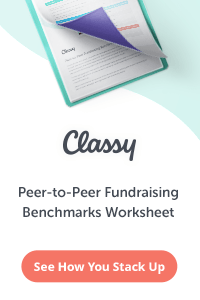 Don’t rely too heavily on any one fundraising technique. The more successful you are in diversifying, the more stable your non-profit will be in the long run. Hogwash. Being active online needn’t take hours each day. Make the investment to get your website up to date and looking nice, and then spend 15 minutes each day on Faceboook and Twitter combined. That’s it. You’re active online. You will notice the difference! For more information on having a great online presence, read Fundraising On the Internet. Being Small Can Be an Advantage! Of course, as a smaller fundraising shop, you also have one key advantage over larger non-profits: your ability to make decisions and implement changes quickly. At many larger non-profits, changing course or launching a new fundraising effort requires moving through several layers of bureaucracy (and that can take months), but not for you – you can decide and act without delay. Use this advantage! When things change, refine your game plan. 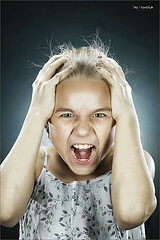 When events arise, react to them in a way that larger organizations can’t. It will give you a leg up in the race for fundraising dollars, as well as be attractive to donors looking to make a good investment. Are You a One-Person Development Office? In addition to the tips above, if you’re working in a one-person development shop (either as the one staff member responsible for development, or as an Executive Director who is responsible for fundraising too…) then I want to highly recommend my friend Pamela Grow’s new book and toolkit Simple Development Systems: Successful Fundraising for the One-Person Shop. Pam’s a pro who’s been in the trenches for a long time. Her new kit is geared towards small, one-person shops, and contains not just an expansive e-book, but also recorded seminars, forms and worksheets and more. If you’re interested in learning more or getting a copy, click here. Please note that these links are affiliate links. If you make a purchase through one of these links, we will receive a small commission to help defray expenses. Fear not, I never recommend any product or book that I don’t believe in. I have thoroughly reviewed Simple Development Systems and give it my highest recommendation! I wrote it for a startup nonprofit that helps other startup nonprofits, and I hope it helps those one-man/woman shops get some extra fundraising done this year.